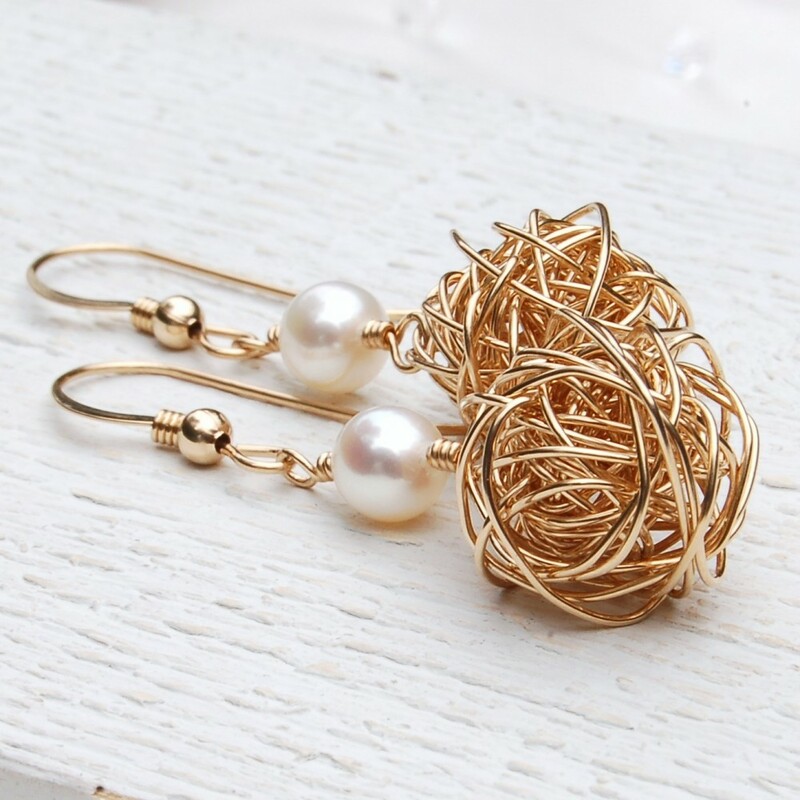 These earrings were made primarily for our wedding/bridal collection but have proved extremely popular for all occasions due to their versatility. 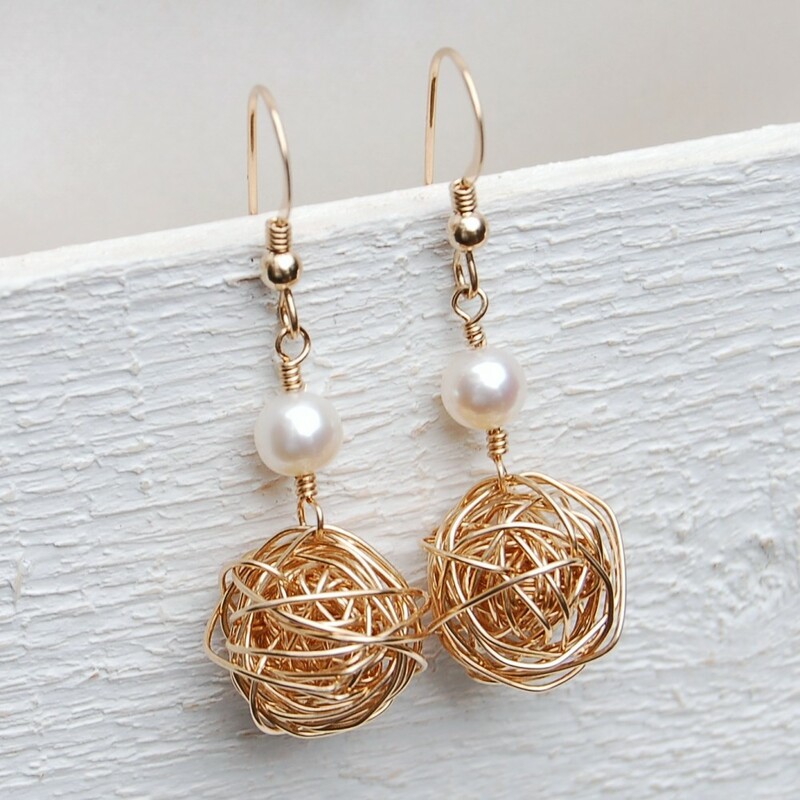 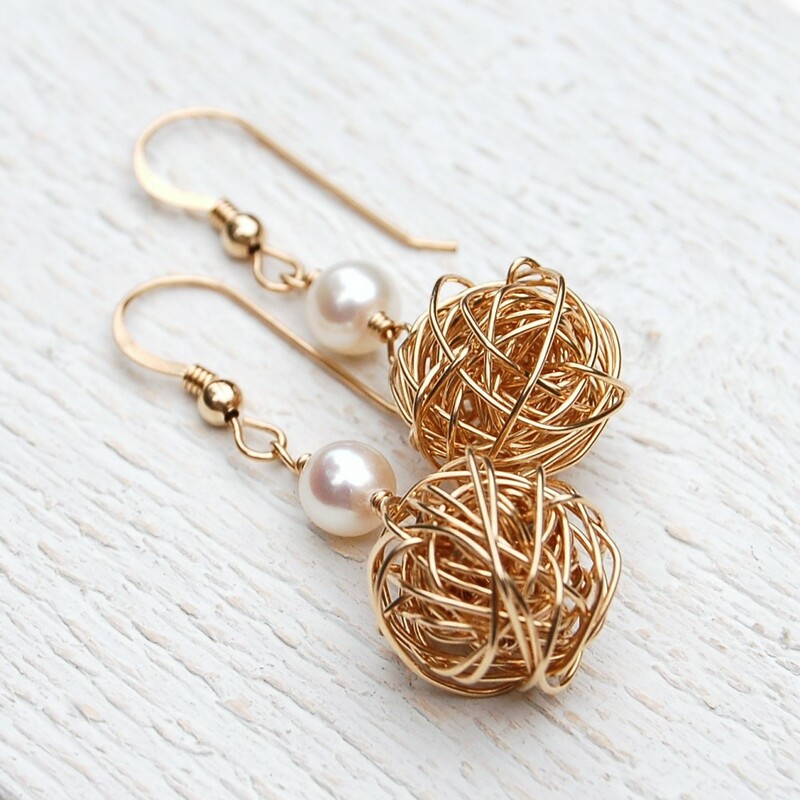 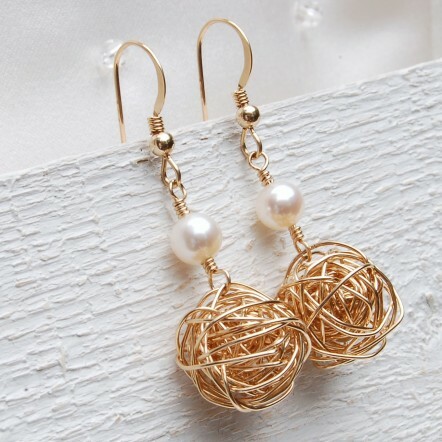 Lengths of 14ct Gold Filled wire are wrapped and weaved into balls which measure approximately 10mm in diameter and are topped off with an AAA quality pearl and hung from simple but elegant 14ct Gold Filled ear wires with a small bead and coiled wire detail. 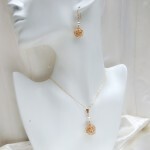 A matching necklace is also available and a discount will be applied if purchased as a set. Also available is a slightly different version of these earrings without the pearl. 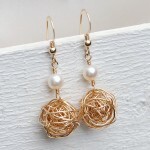 These sparkling earrings are handmade with 14ct Gold fill wire and components and AA white freshwater pearls. 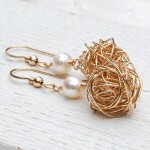 The earrings measure approximately 4.5cm from the top of the earwire to the bottom of the wrapped nest bead. 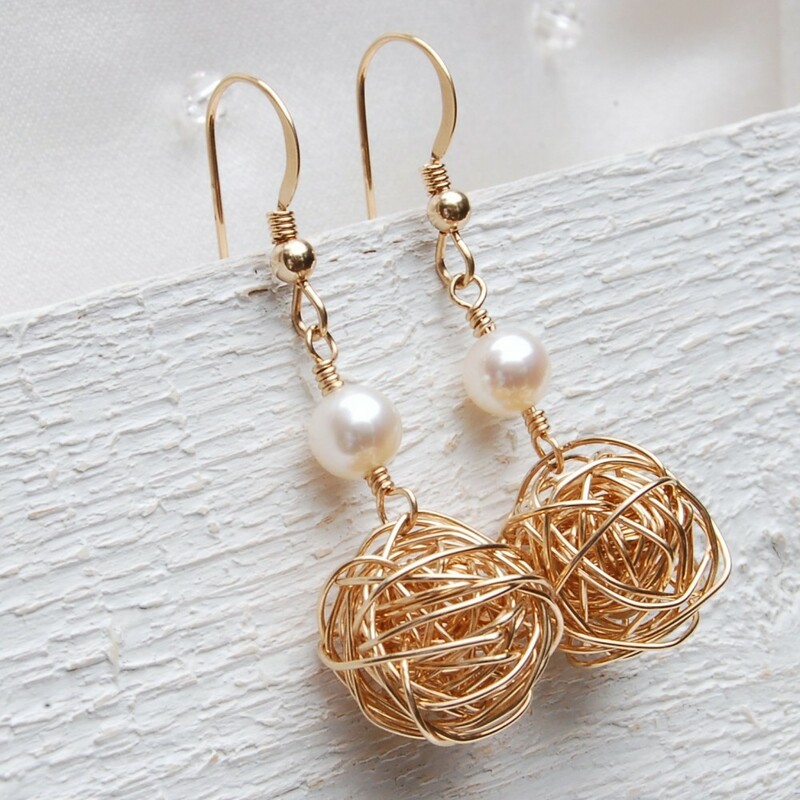 Gold filled is an actual layer of gold pressure bonded to another metal and has a much thicker layer than a standard electroplated coating (gold plated). As such Gold filled is much more valuable and tarnish resistant and it does not flake or rub off.